On behalf of admin of JML Law, A Professional Law Corporation posted in Bus Accident on Wednesday, Feb 07 2018. Pile-up accidents on highways are the most difficult type of motor vehicle accidents to litigate, as establishing liability may be tough when a traffic collision involves multiple vehicles. In fact, establishing the chain of events leading up to a multiple-vehicle accident is especially tough when it involves over 70 vehicles, our Los Angeles bus accident attorney at JML Law says. This was the case in Los Angeles earlier this week when a Dancing With The Stars tour bus was involved in a massive motor vehicle accident in Iowa. The bus was headed for Los Angeles when it crashed on I-35 southbound. One woman was killed and several others injured as the result of the pile-up motor vehicle accident. Given the size of buses and trucks, which get involved in the vast majority of pile-up accidents on highways, consequences of such crashes are devastating. In addition to fatalities and injuries, pile-up accidents also result in tremendous vehicle damage that can total millions of dollars. That’s why it’s vital to seek legal help of the best bus accident attorneys in Los Angeles. This is especially true if you get into a motor vehicle accident in Los Angeles or elsewhere in California, as the state utilizes the standard of comparative negligence. The doctrine determines liability based on upon the degree to which the each party’s negligence contributed to causing the accident. Unless you want other parties involved in a bus accident to shift more blame onto you than you were actually negligent for, being legally represented is critical to avoid unfair settlements. What qualifies as a bus accident in Los Angeles? Under federal and state laws in Los Angeles, a bus is any motorized vehicle that can carry more than 10 passengers. Tour buses, school buses, transit buses, public transportation, trolleys and other buses all can be categorized as buses. A motor vehicle accident lawsuit involving a bus would differ from a lawsuit involving a regular-sized vehicle, our Los Angeles bus accident lawyers warn. That’s because being in a road accident with a bus means that a bus company could also be held liable for compensating you for injuries and damages in addition to the bus driver. 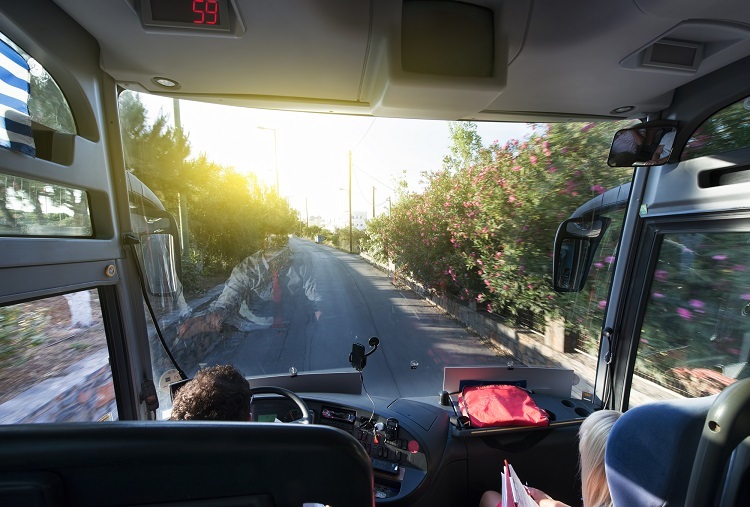 What damages can you seek in a bus accident? Lost capacity and lost wages. Short-term and long-term limitations on employment. Other damages may be applicable in your particular case. Only a Los Angeles bus accident attorney can determine the full value of your injuries and damages and help you file a claim in California. Informing your insurance company about a bus accident may put your compensation in jeopardy if you aren’t legally represented by an experienced lawyer. Make no mistake: insurers aren’t your friends, and they are certainly NOT interested in letting you get your hands on massive settlements. Here at JML Law, our attorneys will help you seek medical attention to document your injuries properly, obtain witness accounts, assess your damages, determine liability, and come up with a personalized strategy to represent you both in and outside of court.